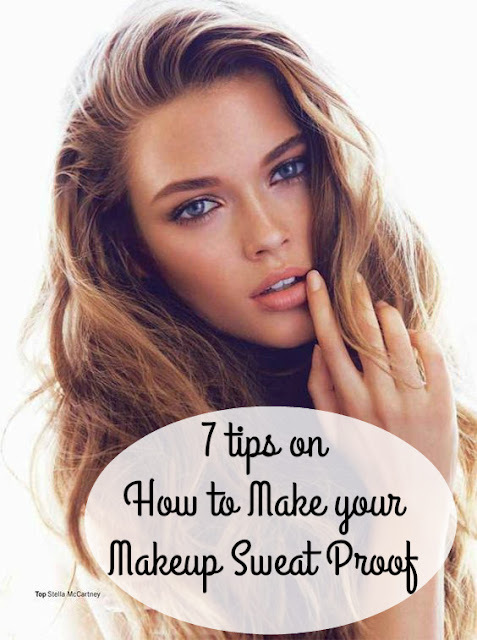 If you want your makeup to last during a hot day out, or to the beach, or to the gym, these are tips that you can use to make tat makeup stay. I will say though that the hottest the day is, the lighter your makeup layers should be. Don't try to go full on makeup routine on a day to the beach, it doesn't look right either. You want to look like you don't have makeup up even though you do. 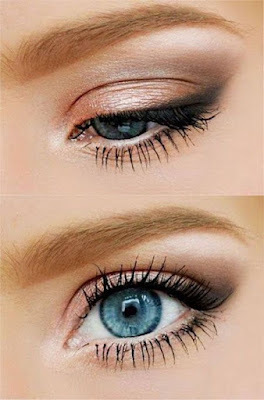 This is an obvious one for me - Choose waterproof makeup for all the steps! We know that setting spray is for the end of your makeup to lock everything up, and it is. But did you know that if you put setting spray on your face before you put any makeup it will also help the makeup grab onto your skin better? Yep, it does. After you set your clean face, is time to put some primer on it, try to focus on your sweaty areas, but don't forget your eyelids, they get sweaty too. The primer will make you skin a smooth surface for the makeup. Do not use foundation, it will be too heavy and the heaviest the higher the probability of it melting off your face. Instead use concealer on the parts you need help with, and then either a tinted moisturiser or a BB / CC cream. If you must wear a foundation then go for a very light weight one. If you do your brows the best option is to use a brow pencil that contains wax in it, this way your brows will be set and drawn without rubbing off. If you don't draw your brows, just set them, then choose a waterproof clear mascara, or a brow gel. Choose a loose powder, this will not only protect your makeup when you set it, but also will absorb the oils from your skin or makeup. It creates a barrier for the oils and sweat during the day. I do not recommend you use lip gloss of any kind of shiny lipstick if you want it not to melt off. They are extra greasy and will slip off you very quickly. Rather choose a matte lipstick, and if you want it to shine, put some highlighter powder on top of it. To make the matte lipstick stay on for longer, pat or brush some translucent powder or skin coloured powder on top of the lipstick. And here it is again, to lock up at the end, spray yourself with the final coat of setting spray and you are good to go! If you need that little extra help, either because you are very oily or the event you are going to may require some extra protection, use a solid anti-perspirant on the areas of your face that you sweat the most. It will lock up the sweat that extra bit more. If you know any other tips, leave them in the comments below for us. Great tips. With matte lipstick, I apply a coat, then blot, then another coat. That helps, esp if I use lipliner under it. I have never used setting spray, may want to try that. I also do that sometimes, it is quite a good one, thanks! I like your idea of a setting spray and had no idea that it could be used before you apply your make up. I will have to try this. I also like the idea of using a BB instead of foundation--much lighter for warm weather. The setting spray one I also didn't know until I heard it somewhere and tried it. I was amazed with the result. Hahahah, you must do whatever you feel the most comfortable with. I swear by setting sprays! I love the ones by Urban Decay! Me too, my setting spray is Urban Decays! What great tips! I go to Disney all the time and have gotten into Disneybounding and want to try makeup, but sweat like crazy. I am going to try some of these tips! I hope you have a great time there and can manage with the makeup! I love loose powder! It's the only thing that looks natural on me. I've only used setting spray once and that was the day of my wedding. Setting sprays are being more and more popular now, making our lives a lot easier!